Welcome to the Travelodge SeaTac Airport, a SeaTac hotel near the Seattle-Tacoma International Airport. 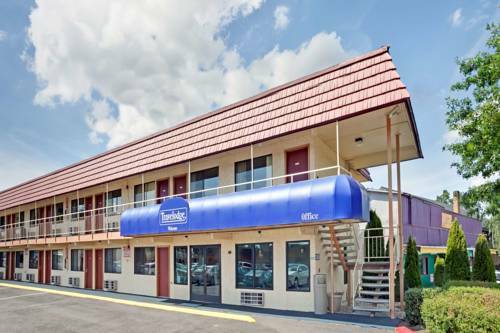 The Travelodge SeaTac Airport is ideally located less than two miles north of the Seattle-Tacoma International Airport with easy access to I-5 and I-405 and also provides free 24 hour airport transportation. downtown Seattle is within 11 minutes of the hotel. This Seattle WA hotel is located near popular area attractions like: * The Museum of Flight * The Westfield Shopping Mall * LINK-Light rail Station * Space Needle * Safeco and Quest Fields There are several restaurants and cocktail lounges in the surrounding area. The hotel provides a shuttle service within a one mile radius. Be sure to visit the China Pavilion restaurant located on the premises for lunch or dinner. Guests of this Seattle, WA hotel are invited to enjoy many amenities including: * Free Continental Breakfast * Free local calls * Free USA Today * Free WIFI in room * Business Center in Lobby $$$HOTEL DEALS $$$ * Park Before You Fly Package Rate $69-$119 USD per night Requirements: Advanced booking and one night minimum length of stay Included: Free Parking for up to seven nights.